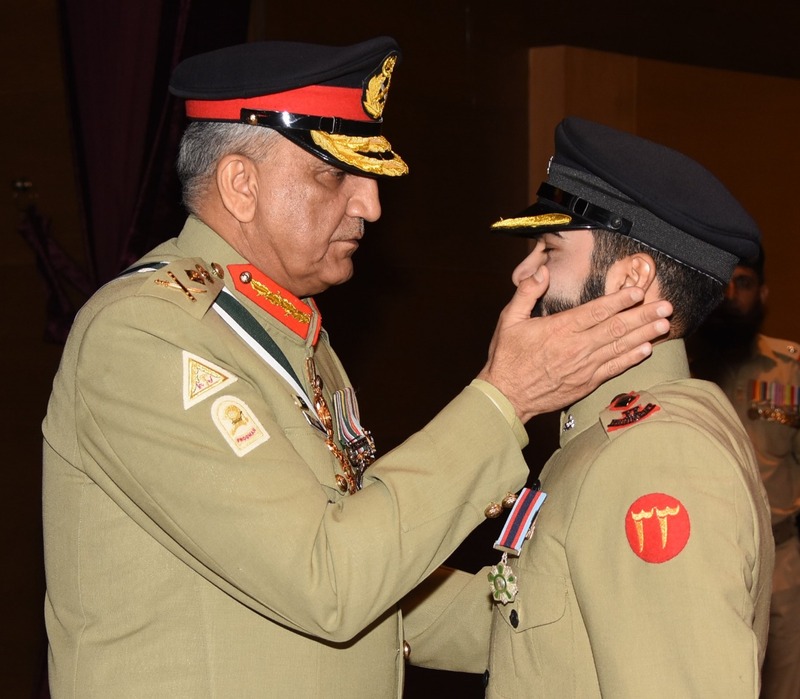 Investiture ceremony held at General Headquarters Rawalpindi today. 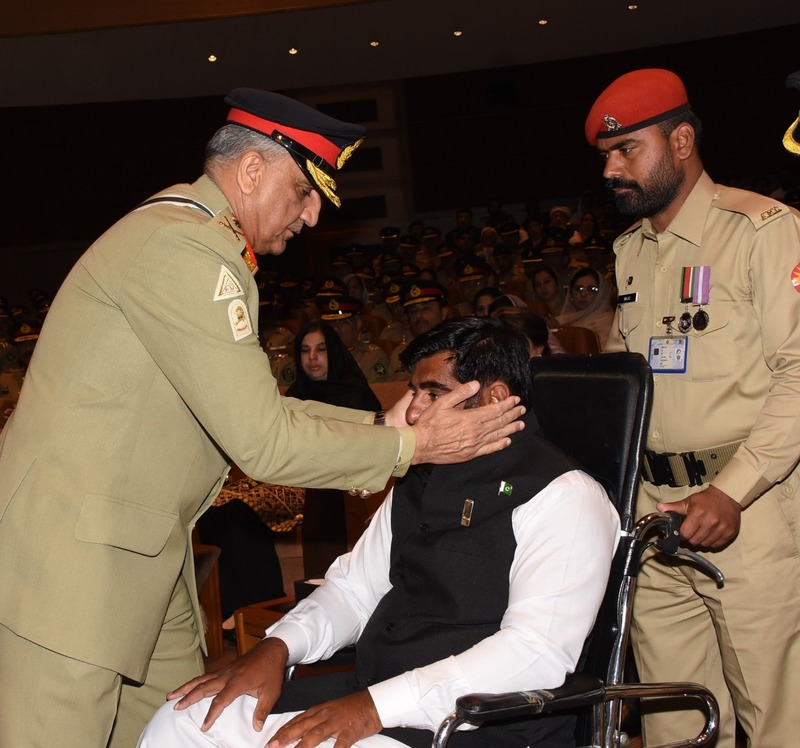 Investiture ceremony held at General Headquarters Rawalpindi today. 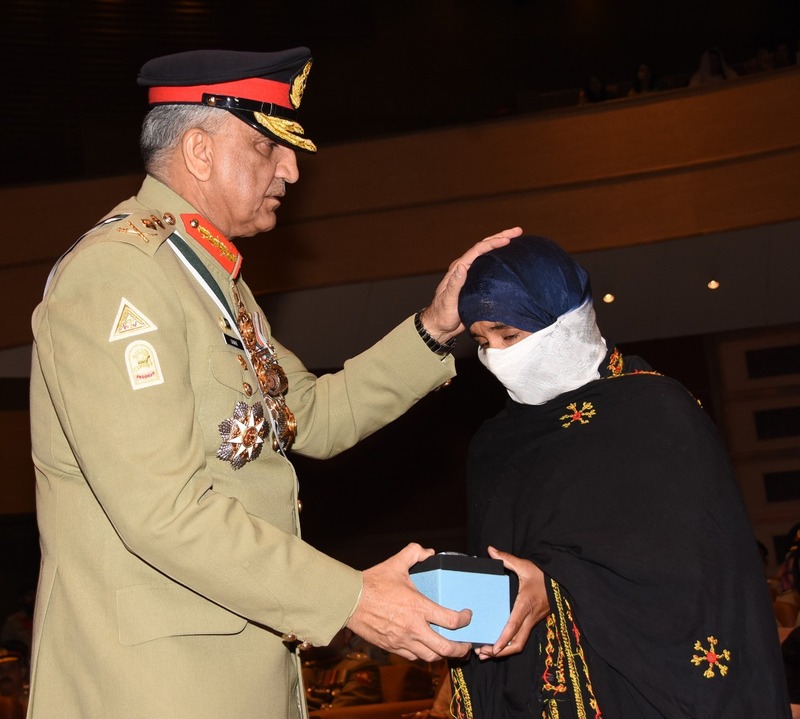 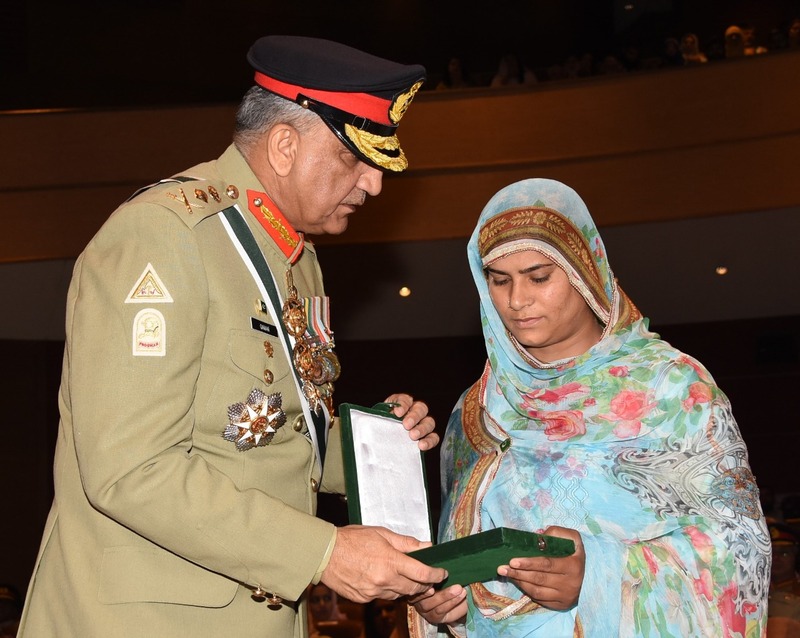 General Qamar Javed Bajwa, Chief of Army Staff (COAS) conferred military awards to Army personnel for acts of gallantry during operations. 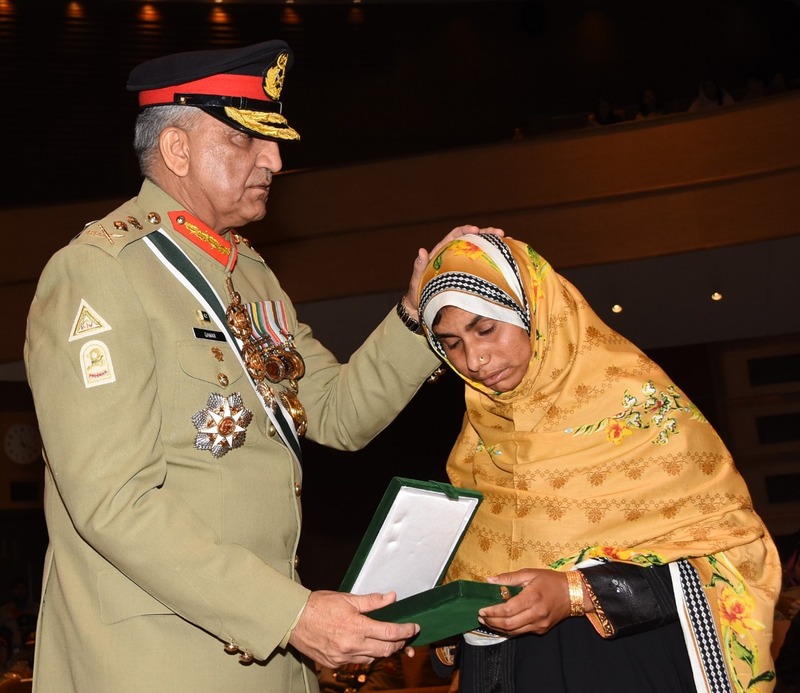 Families of Shuhada / Ghazis also attended the ceremony. 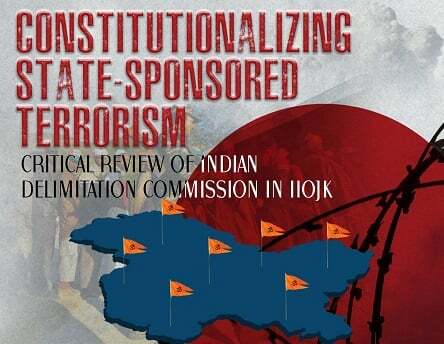 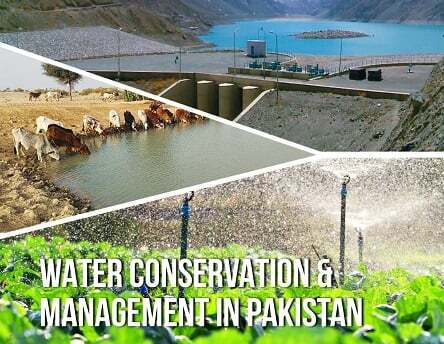 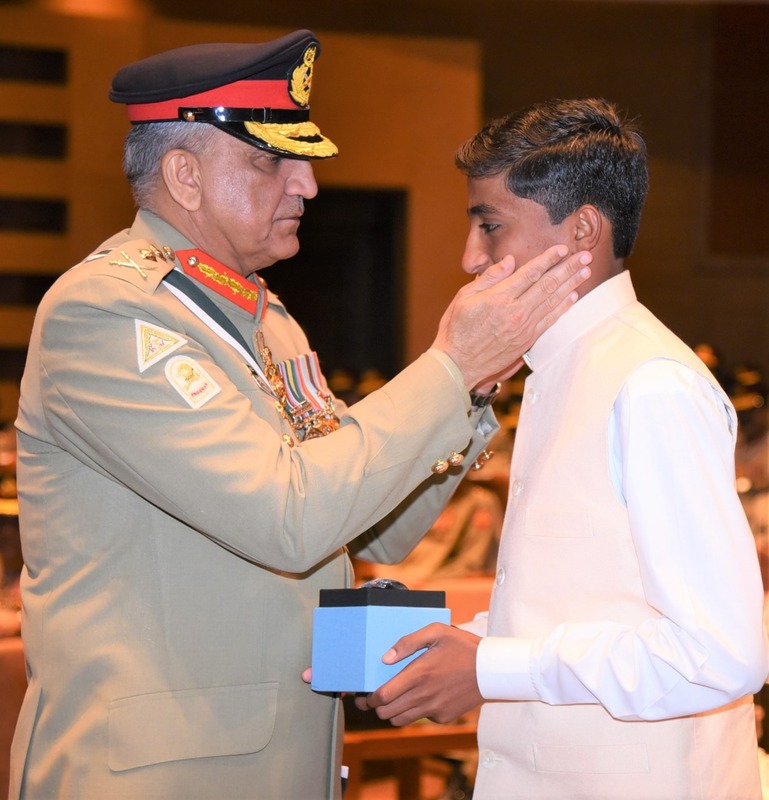 35 officers were awarded SITARA-I-IMTIAZ (MILITARY), 36 officers / soldiers were awarded TAMGHA-E-BISALAT and 7 soldiers were awarded UNITED NATIONS (UN) Medal. 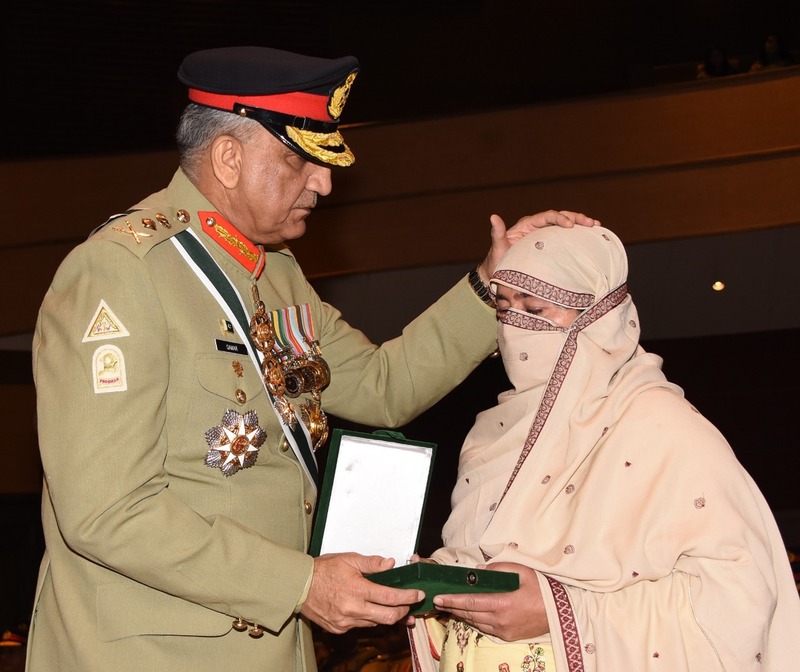 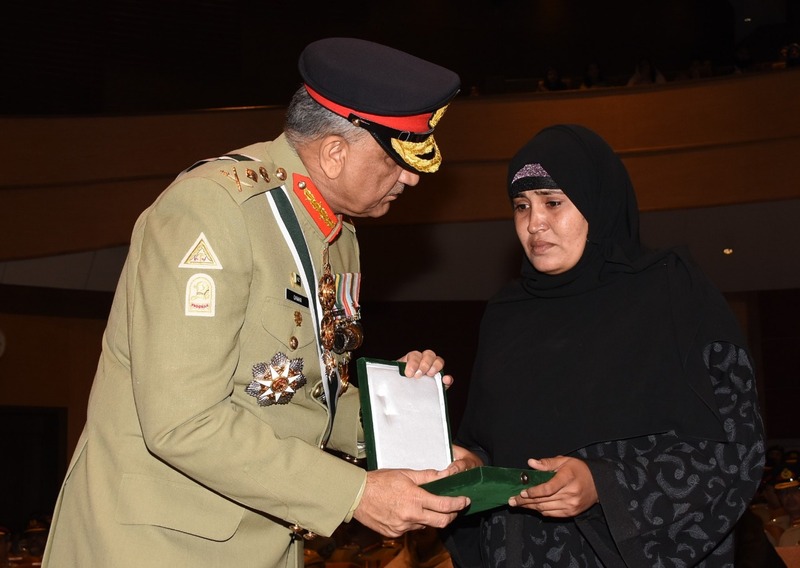 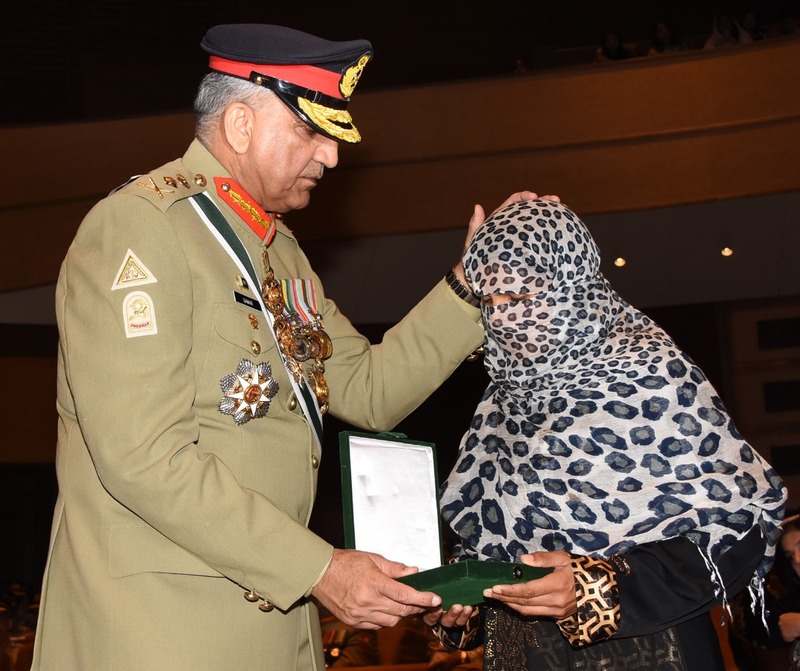 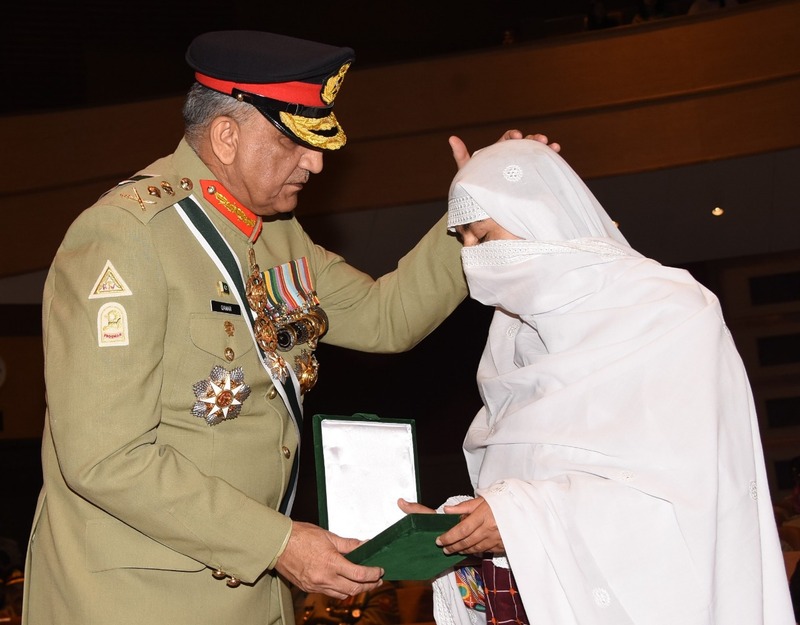 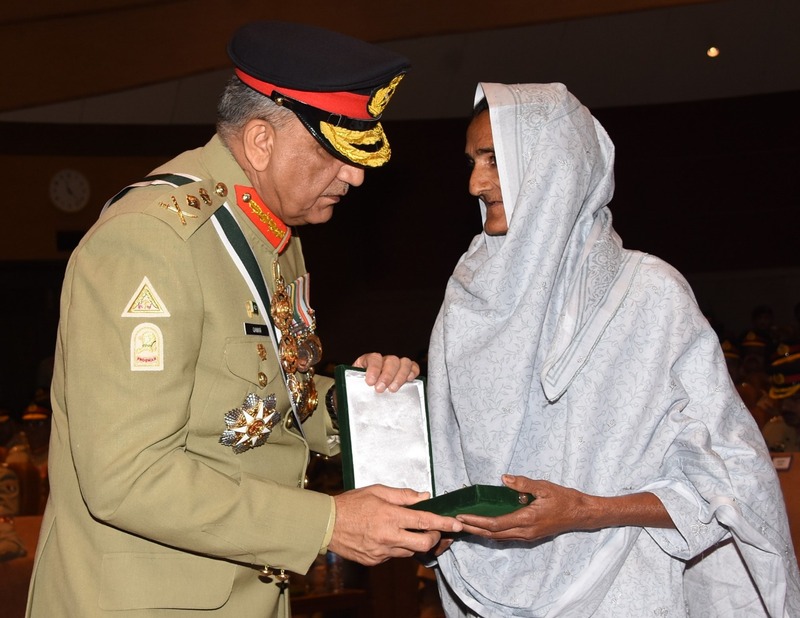 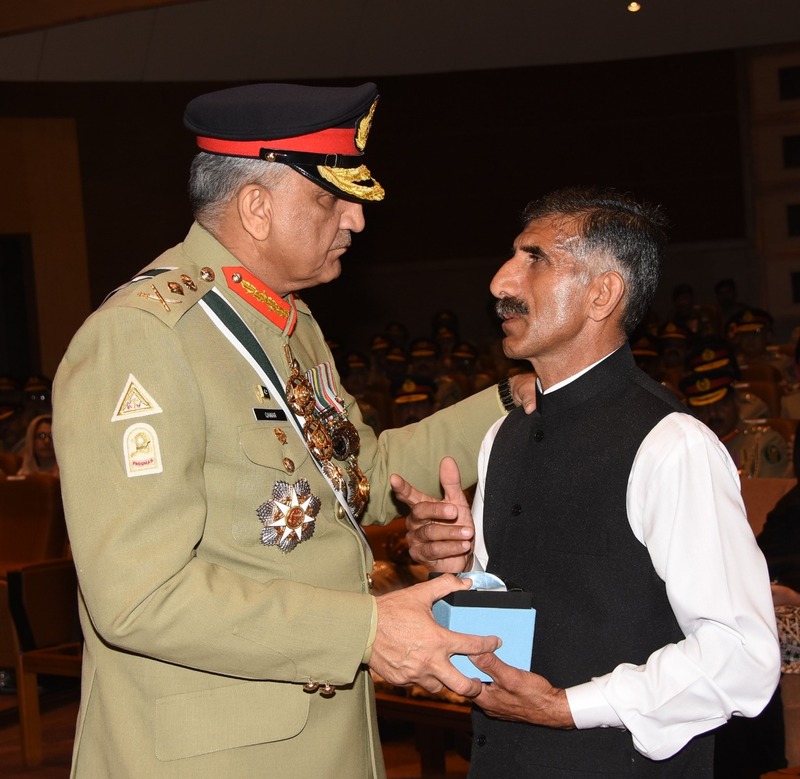 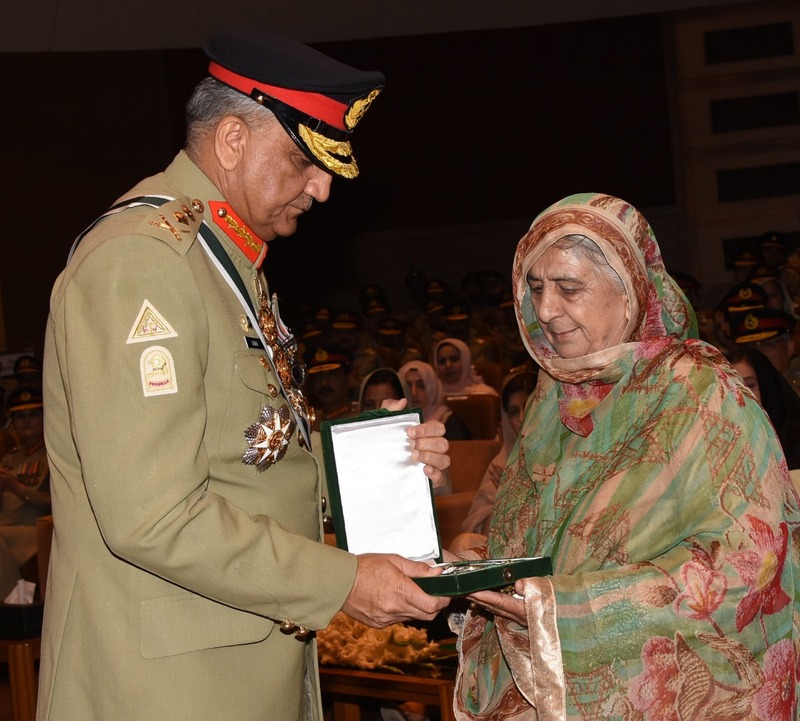 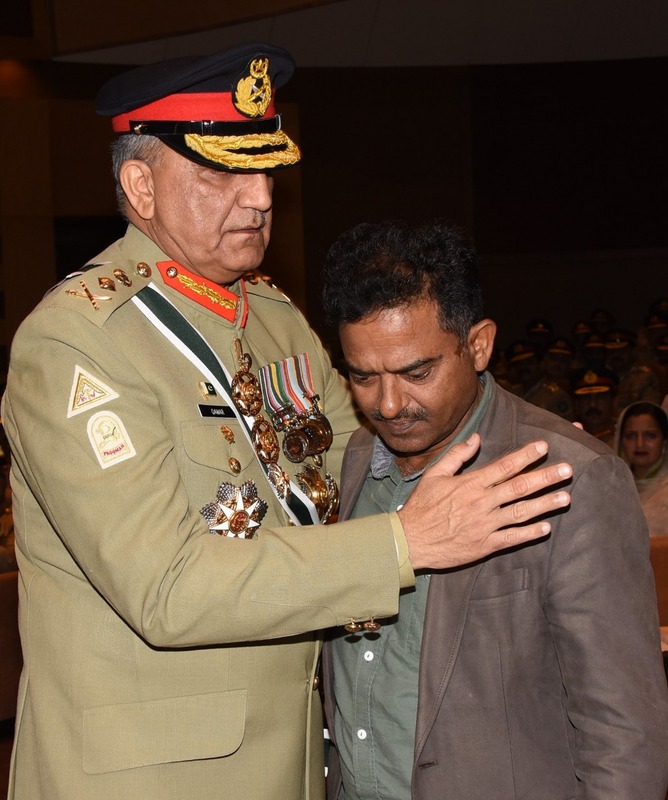 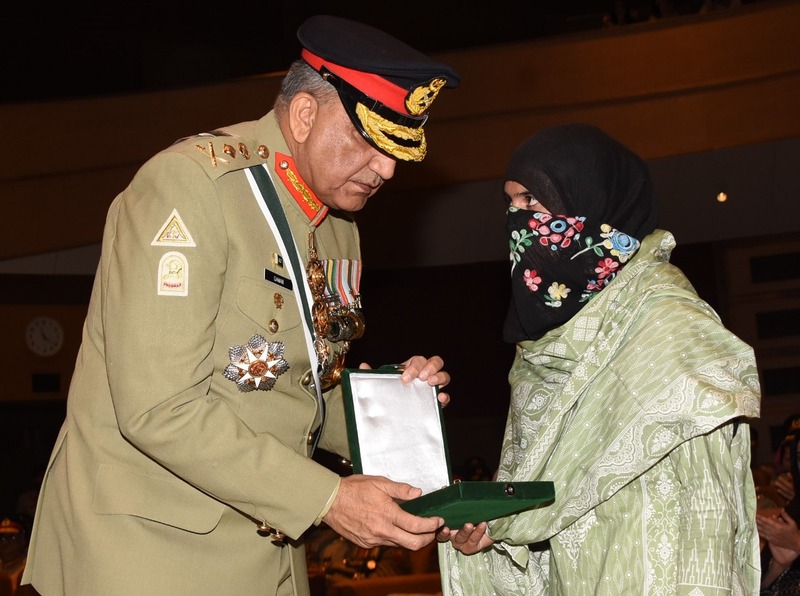 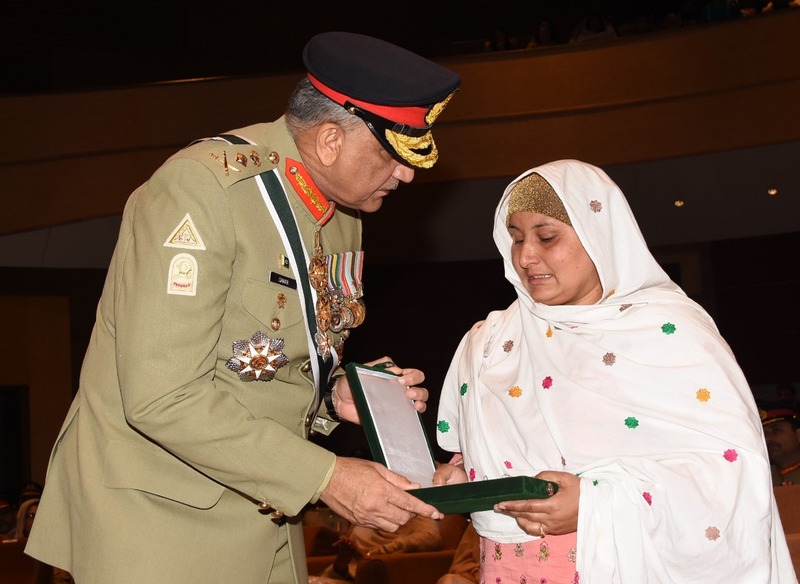 Medals of Shuhada were received by their family members. 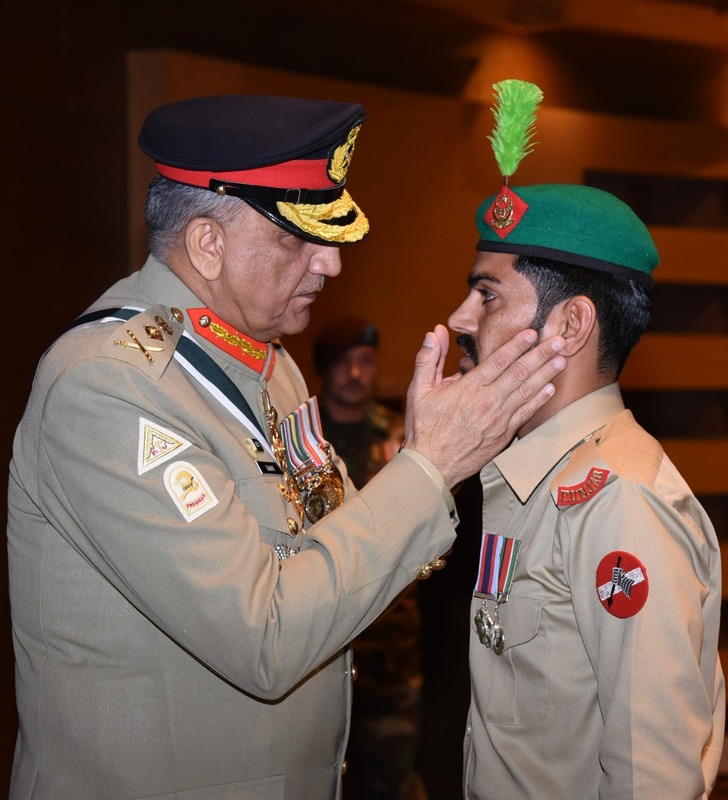 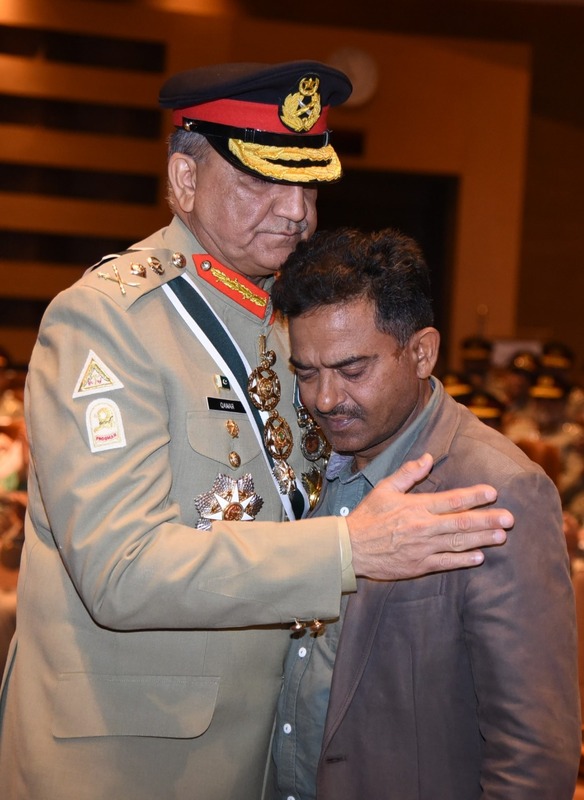 Paying rich tribute to Shaheeds and Ghazis, COAS said that we owe peace and stability to the selfless devotion and sacrifices of these officers and soldiers who are our real heroes. 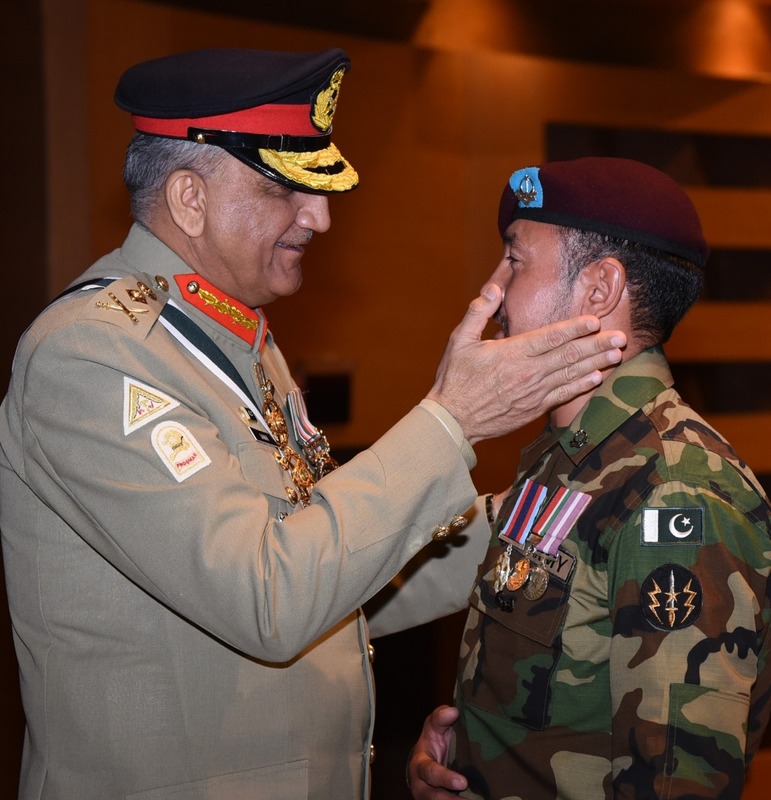 There is no noble cause than laying ones life for defence of motherland and the sacrifices of our martyrs won’t go waste , COAS said. 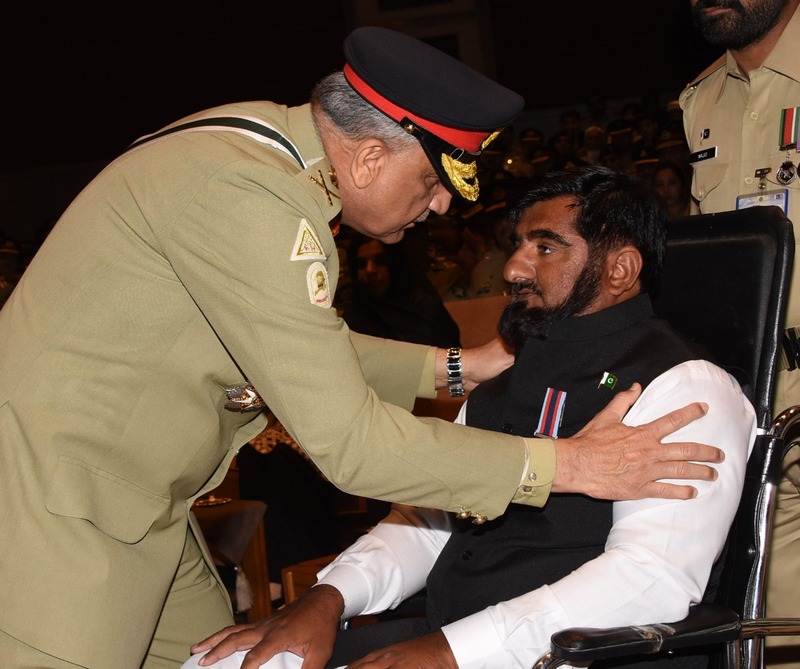 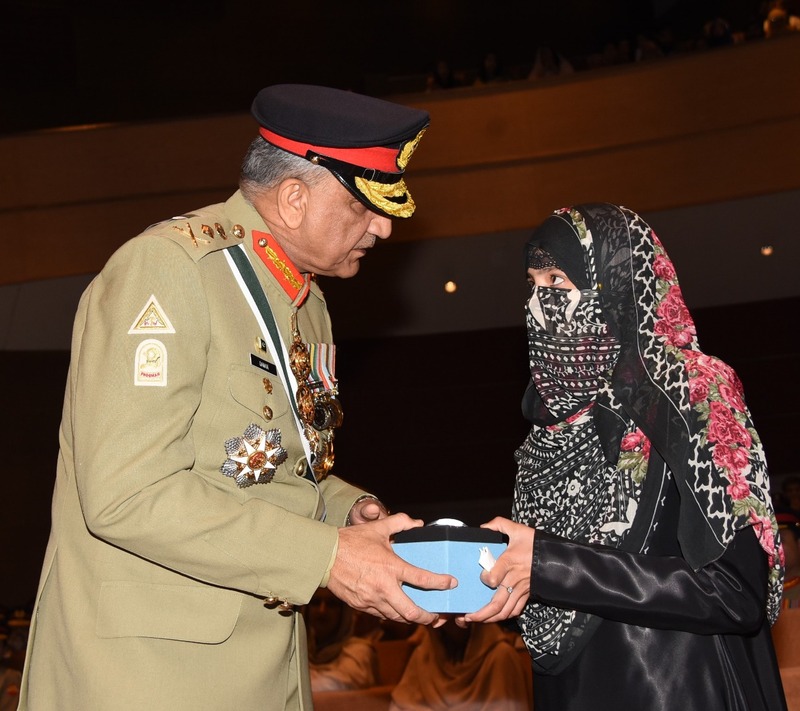 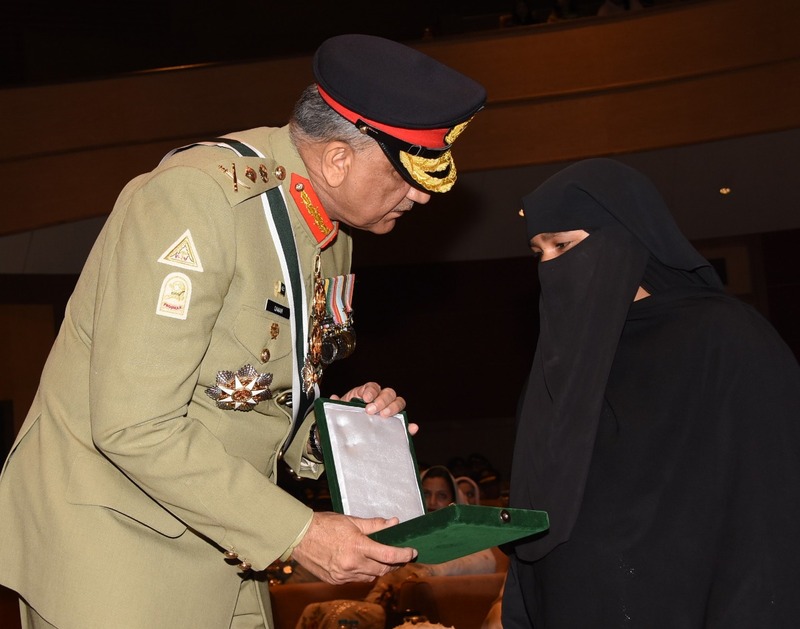 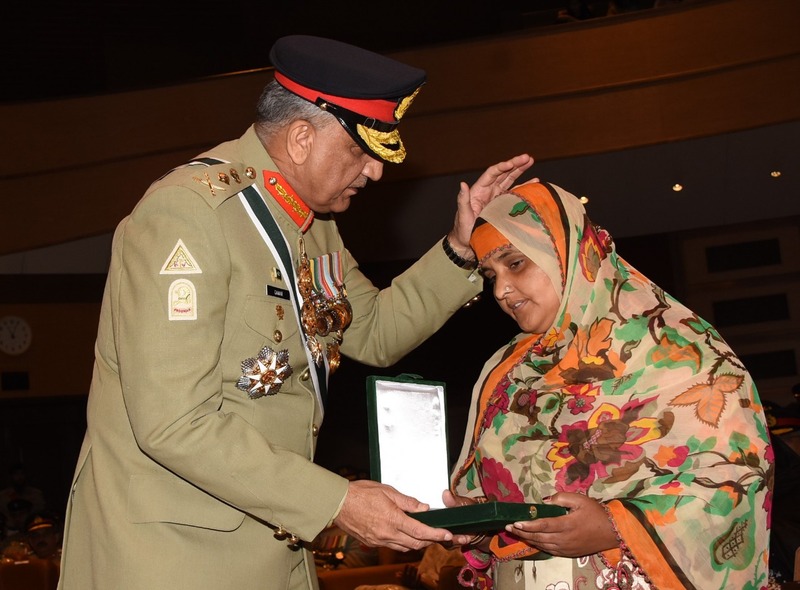 COAS lauded brave families of Shahuadas for supreme sacrifices they rendered for the country.